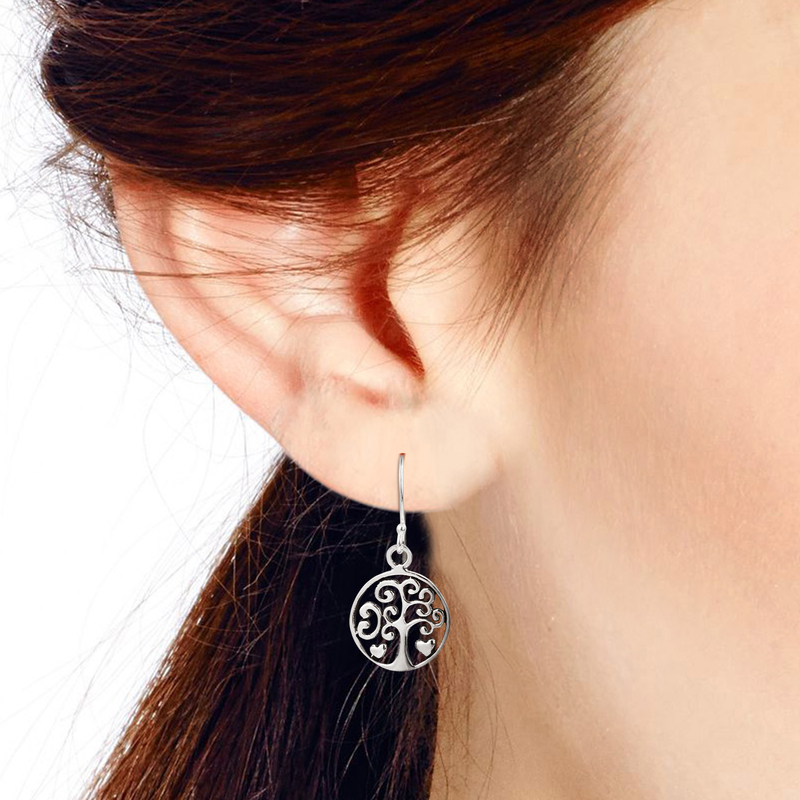 Artisan Watsud from Thailand handcrafted these unique sterling silver earrings. 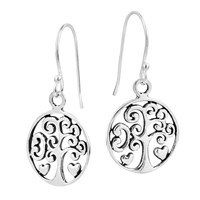 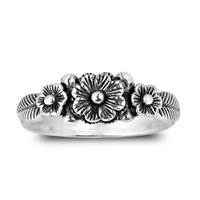 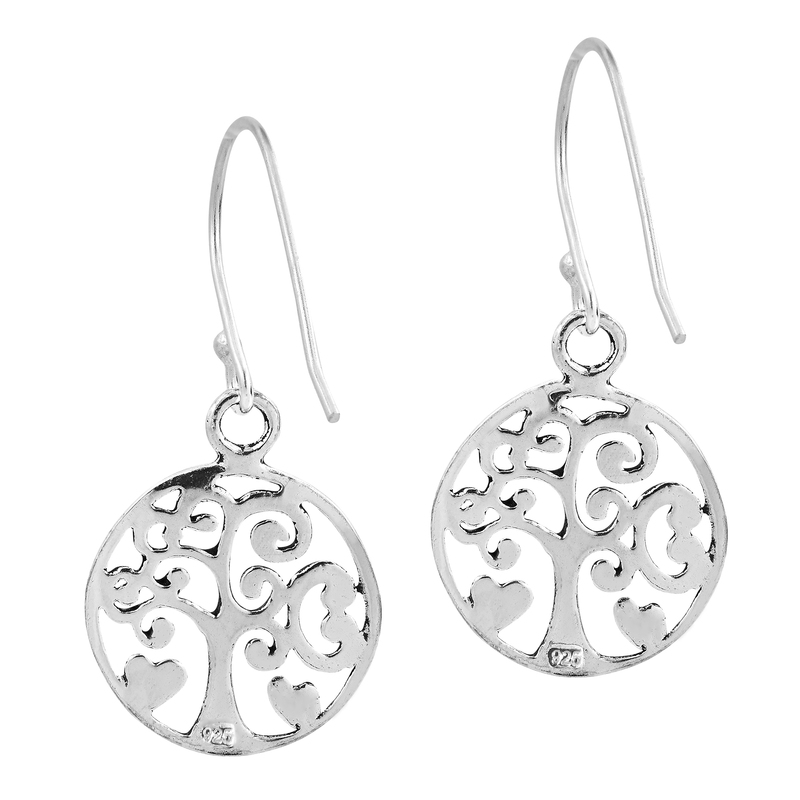 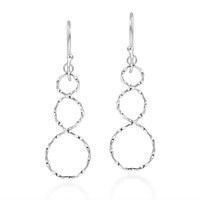 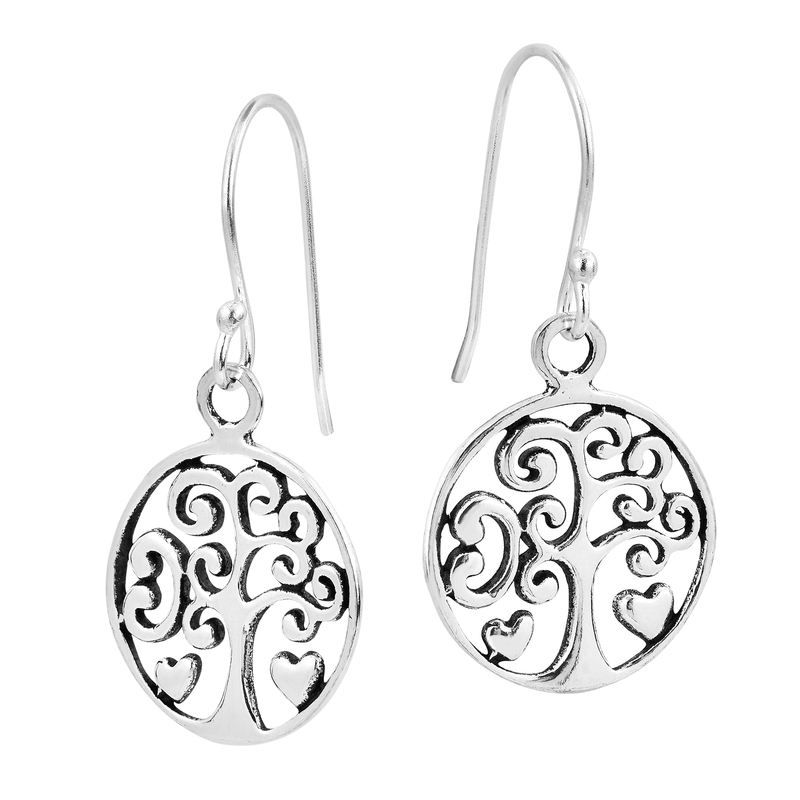 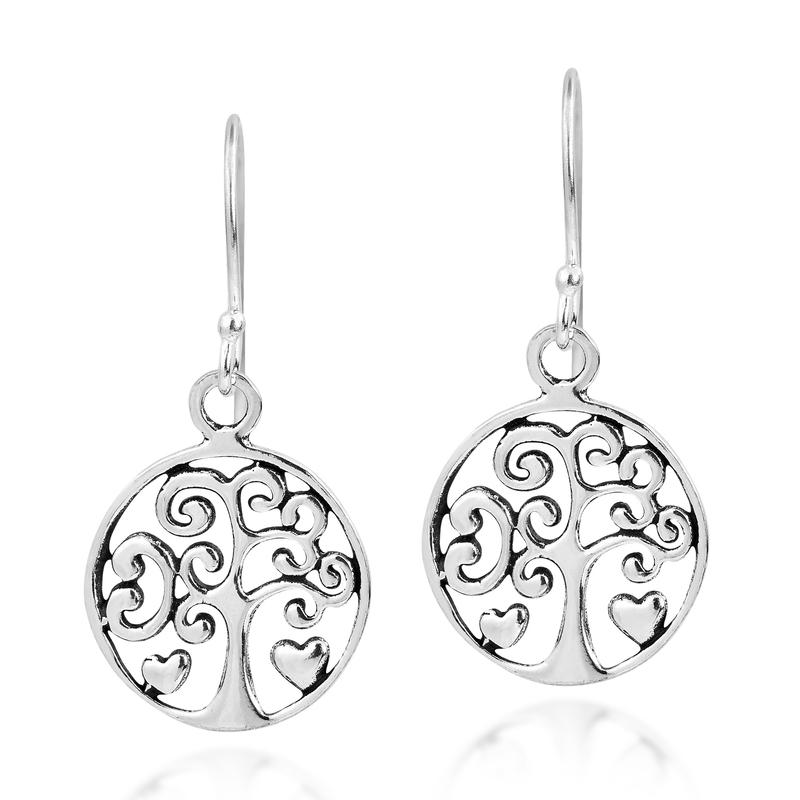 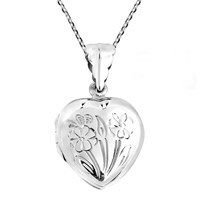 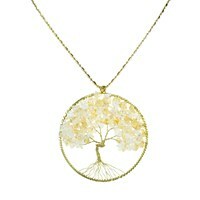 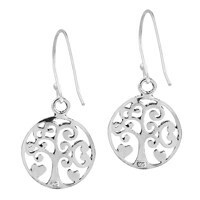 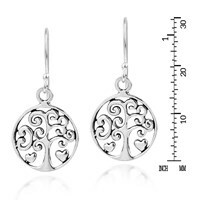 The earrings feature the Filigree Heart Tree of Life in a round shaped frame, highly detailed earrings are depicted with high polished and fish hook closures. 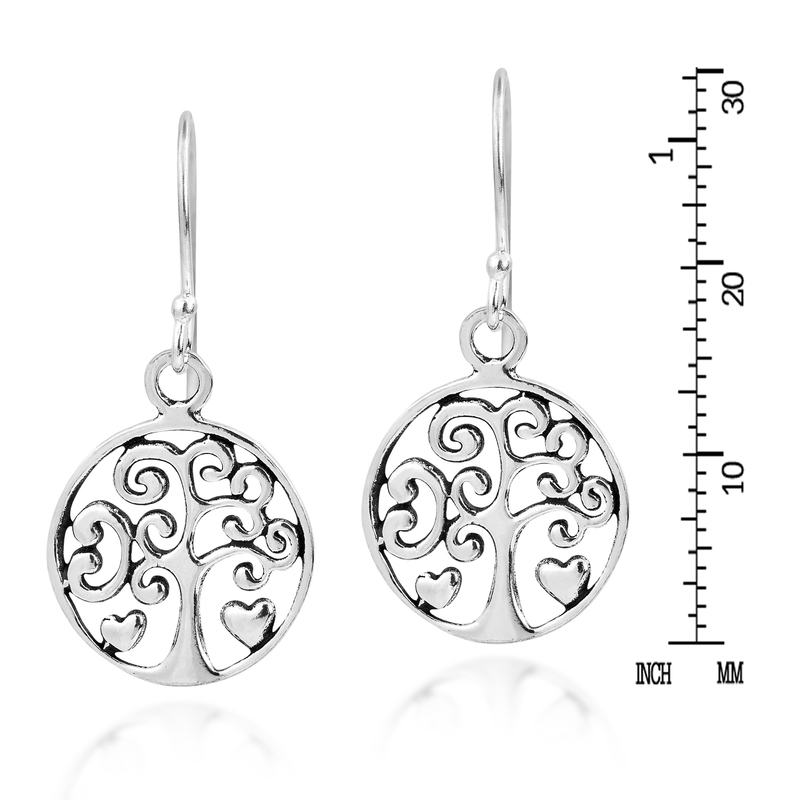 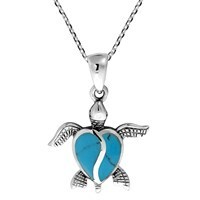 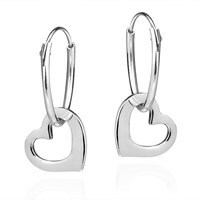 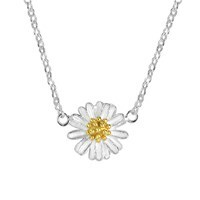 The design of earrings are cool make more different and combination, they look charming to any outfit.